TuneJack from Purple Ghost Software is a commercial tool that can be used to copy song data from an Apple iPod, iPhone or iPad back to a PC. The Windows utility can copy the music library from any of the mentioned devices to a computer. Recovering from a computer crash. If your computer has failed and your hard disk drive has been changed or formatted as a result, TuneJack can be used to copy back all of your song data easily. Loading songs onto a new computer. 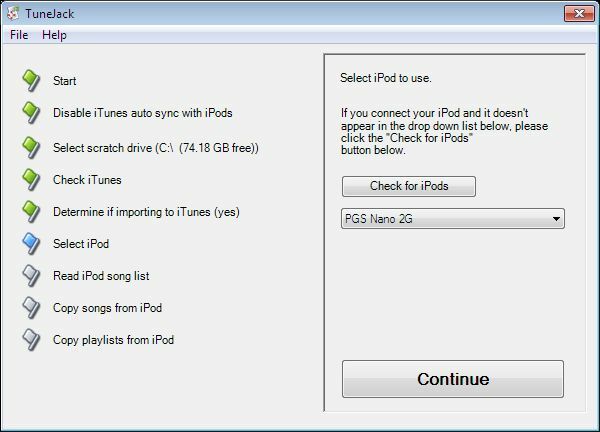 If you have just bought a second computer and you want to have your entire music library on it, you can get it from your iPod, iPhone or iPad instead of transferring from PC to PC. Sharing songs with others. 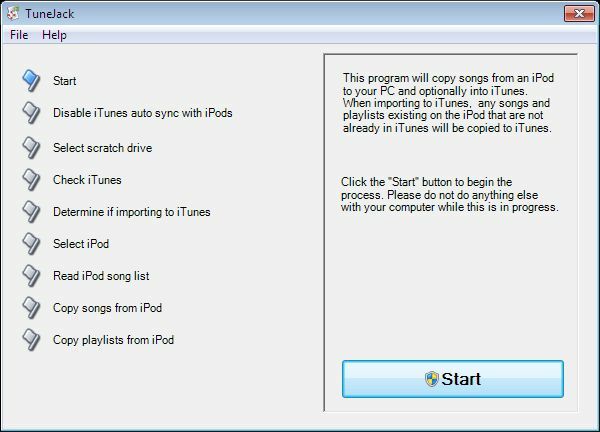 If a friend would like songs from your iPod, iPhone or iPad, then TuneJack can be used to selectively copy tracks onto their computer once installed. (This utility appears to require complete unlocking before it works).